I woke up at six o’clock, but then went back to bed immediately until seven. For breakfast, I had some leftover pasta that I made a while back, it tasted exceptionally good for what it was, buttered noodles and parmesan, and I was very excited to eat it. The trains were very slow in getting to the stations today. Once on the train, they went at their normal speed, but the wait at the docks was forever! Today’s demonstration was for a pistachio log cake. I was immediately alarmed as I hate pistachio. I was given a pistachio macaroon once and thought that I would choke to death on the vile little thing. Thankfully, I survived to tell this tale. The cake was bright green because of the pistachios which delighted me. Who wouldn’t want a green cake? Once baked, it didn’t taste too much of pistachio, so I was able to eat it. Chef was really, really mean to his assistant today, he oftentimes forgot that he was speaking out loud, which was awkward for everybody in the room as he ranted about what an idiot she was, in his opinion. She’s not my favorite of the assistants, but I didn’t think that was deserved. He also made an almond cake that was supposed to be delicious and from another planet on terms of it’s greatness, but it just tasted like cake to me. 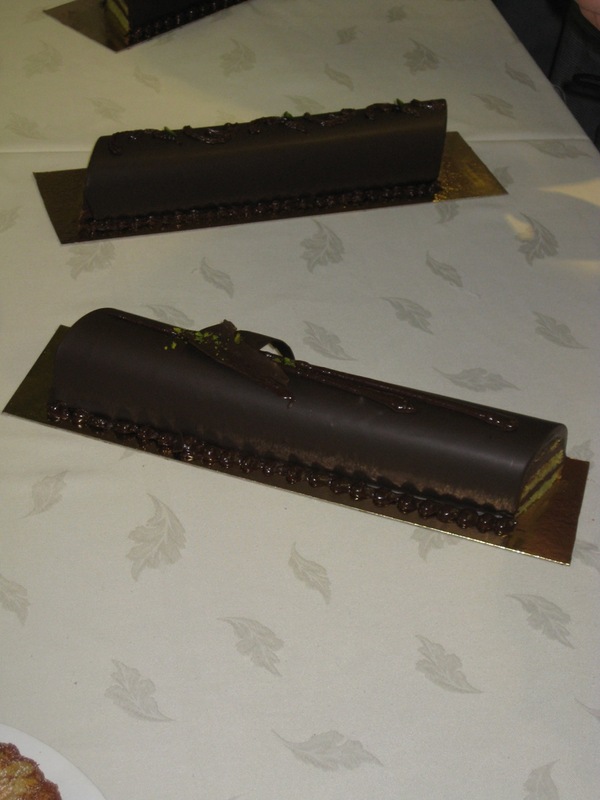 The pistachio log cake was sliced and layered with chocolate, so, it looked like a hoho, and tasted like one even. It was actually pretty good. It was time to go home and take a nap! I had to set an alarm though, because I had my practical class that afternoon. I hate days that are split into two like that. After my nap, I went and collected a package that was waiting for me. It had delicious things from home like Cavenders seasoning, raspberry lemonade mix, magazines, popcorn, chocolate, and cheerios, and Jiffy Pop! I was very excited. I ate a boiled egg for lunch. 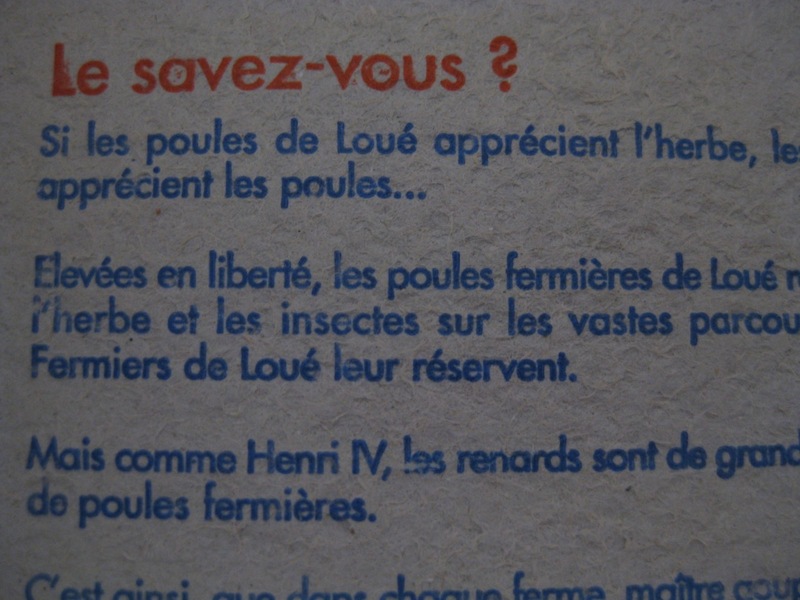 On the box of the eggs, there was the font in the header photo. It was driving me crazy, because I have a bit of a font fetish. I have thousands on my computer, but this one was unfamiliar to me, so I spent about a half hour tracking it down. It was called Twentieth Century, and it was happily already loaded onto my computer. Then it was time to go back…sad. My-Rung was on the train. In Korea she did something with plastic. I couldn’t tell if she was a plastic surgeon or if she molded plastic, she has a funny way of speaking. I hoped she was a plastic surgeon, I could get a discount for being her friend! I’ve always wanted a bit of surgery on my nose and a trip to Korea…perfect! Cake came together lovely and green, which made me giggle. It struck me over and over during the class how kind Asians are after you befriend them. They are a hard race of people to get to know, but it is worth it once you do. They will go to the ends of the Earth to help you, even if that just means getting you a bowl without asking or measuring out an ingredient you forgot. I feel guilty because they seem to like to help me, by doing things for me and when I try to help them in turn, they don’t want help, and seem shocked when you do. It’s weird, but kind of fun. Soon, the cake was all put together, and even though I felt that my decorations were a bit lame, everybody seemed to like them. (Asians also love to compliment, but don’t like to be complimented.) Chef, the one I don’t like, had no objections, which made me suspicious. But, whatever. Time to head back home. Jongin and I walked to the Metro trying to tell each other how many milliliters of this and that are in such and such. We’re both set. I had everything memorized and most of the vocabulary absorbed, so, I should be alright for tomorrow’s written exam. Hopefully.